Celebrating over 30 years of encouraging the art of quilting in the Merrimack Valley. The Merrimack Valley Quilters Guild was formed in the summer of 1980 for the purpose of encouraging and developing the art of quilting. Members come from all age groups, and live in Massachusetts and southern New Hampshire towns in the Merrimack Valley. The guild meets from 7:00 to 9:00 p.m. on the third Thursday of each month from September through June, in the Technology Center at Northern Essex Community College, 100 Elliott Street, Haverhill, MA 01830. Most meetings include a short business meeting, a “show and tell” segment where members display quilts they have been working on, and a guest speaker – quite often a nationally known speaker. In addition, there may be special events held such as the annual members’ auction, group projects, round robin quilts, or mystery quilts. 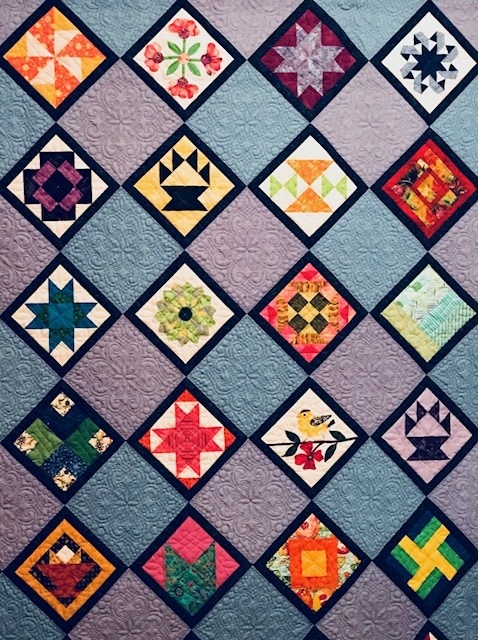 As a guild, we are committed to helping one or more nonprofit organizations each year through the gift of quilts made by guild members, fund raising, or other donations. All interested quilters are invited to attend a meeting for a $5 guest fee. For more information send us a note using the reply section below.